11 7/8 L x 6 1/2 H x 2 3/4 D in. 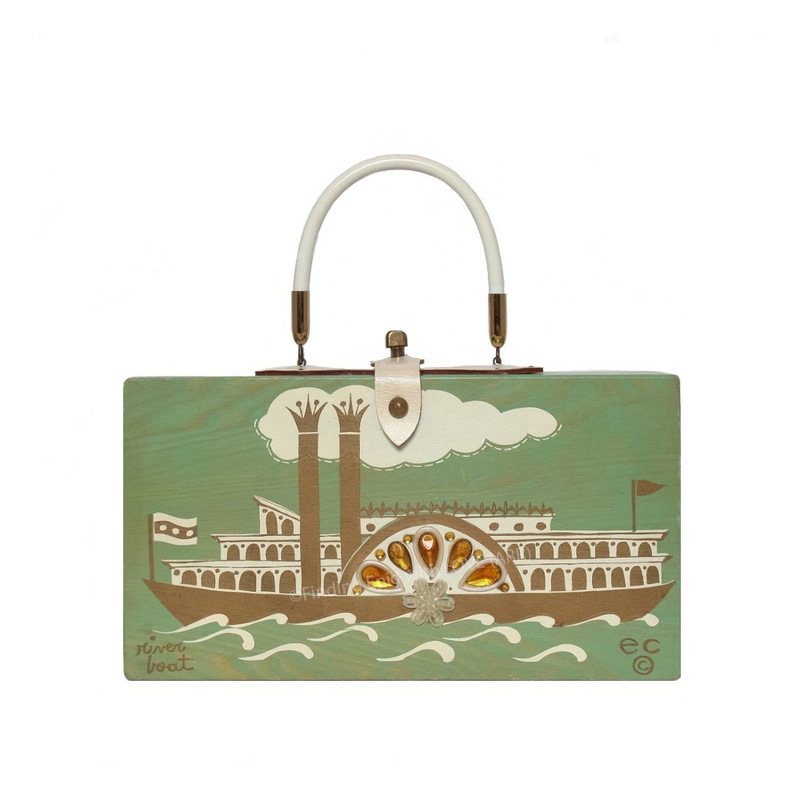 Box purse featuring a 19th-century steamboat screen printed in white and gold on wood stained in a pale, muted green. Decorated with faux gems in amber and pearl. "river boat" serigraph in hand-script cursive style appears in lower left corner. Shows typical wear from use on leather and interior; minor wear to wood; serigraph vivid; original jewels and embellishments intact and in place. Paddle steamers (or wheelers) with large paddle wheels on each side (side-wheelers) were popular passenger riverboats in the United States from the late 18th to late 19th centuries. A few still carry tourists down rivers such as the Mississippi River today.